137 Tart This deeply hued tosh merino is the color of that berry tart you always want to make. Deep, gorgeous berry reds, the glazing giving it definition and deep hue. 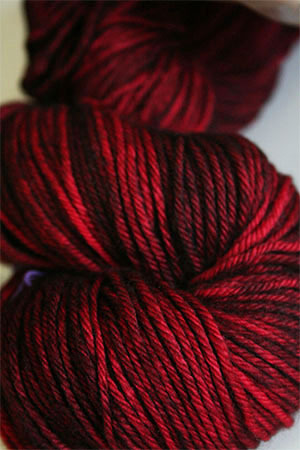 Like an oil painting, this yarn looks different at every angle, always gorgeous, very mysterious.